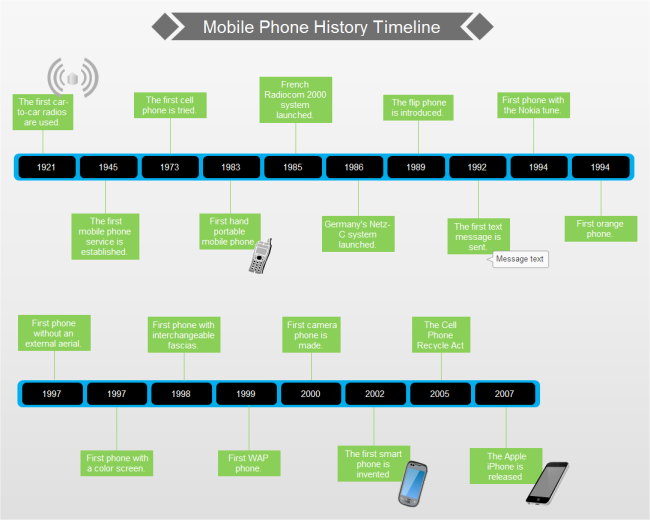 Description: This cell phone history timeline covers a brief mobile phone history, from the first generation of the cell phone to the current time. You can use it as a timeline template to represent other timelines. The template is totally editable and smart. Click the links below to download.